In collaboration with The Center for Art in Wood and in conjunction with the exhibition Merryll Saylan: This Is Your Life, renowned artist Merryll Saylan lead a two-day intensive workshop at Dovetail Wood Arts inviting participants of all skill levels to explore woodturning, color, and surface embellishment. Saylan is known for her pioneering use of color and texture in wood and the creation of turned wood objects that transcend their everyday domesticity. 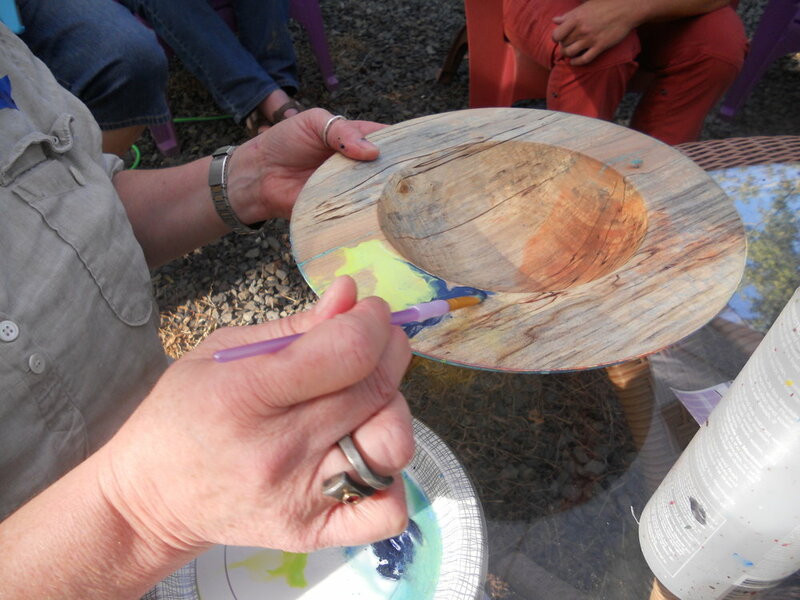 In this two-day workshop, participants created wooden platters, honing their skills on the lathe. Next Saylan demonstrated and lead the students in pigmentation, texture, and pyrography approaches and techniques. On Saturday, January 19, 2019, workshop participants were invited to attend the closing of the exhibition Merryll Saylan: This is Your Life, at which the finished pieces from the workshop were displayed. Saylan gave a talk discussing her life and the development of her body of work. Woodturners, painters, carvers, furniture makers, sculptors and others seeking to learn, gathered together over three days for experimentation and community. Everyone brought talent, creativity and a willingness to share skills and techniques. 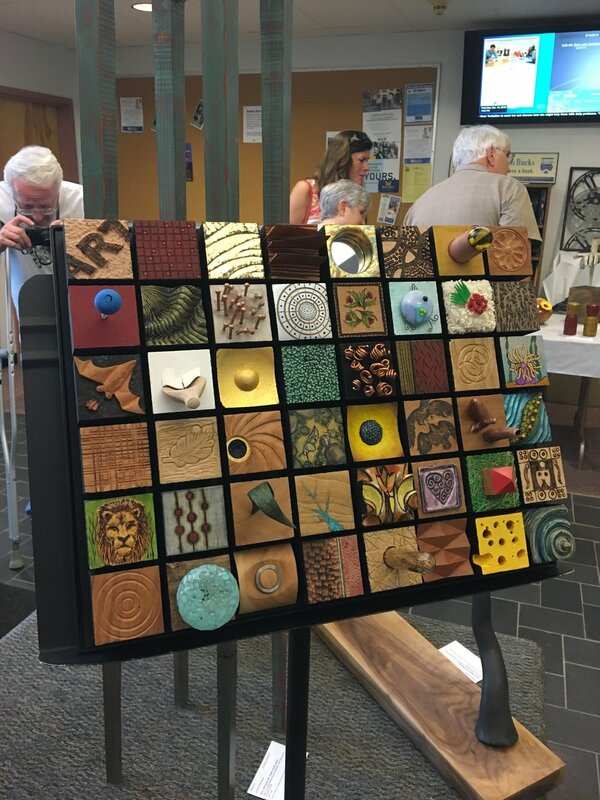 Hosted by Bucks County Community College (BCCC) in Pennsylvania and the Bucks Woodturners, this annual artist collaboration is attended by over 50 invited artists and makers across the full spectrum of craft disciplines. Participants have access to a resource table of materials and work together to reimagine existing works in progress or create original pieces. 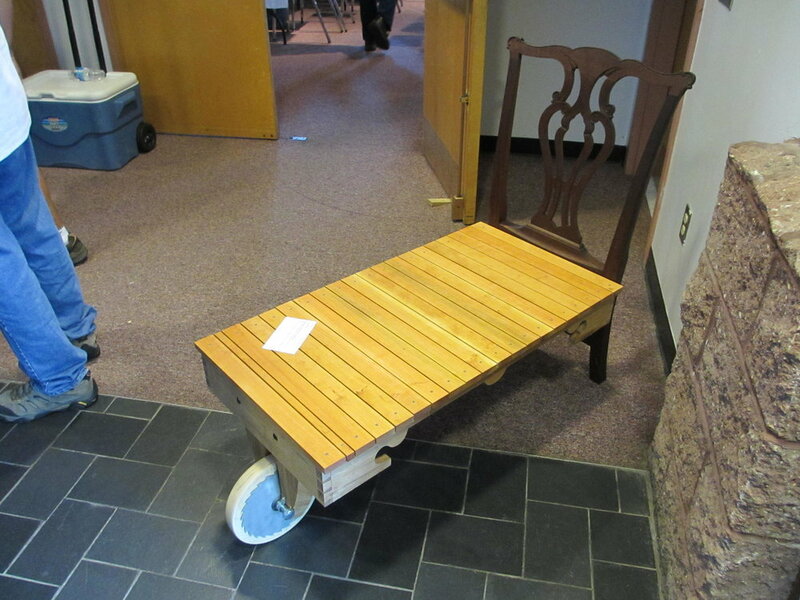 The three day event is capped by an auction; selling works made to support the BCCC students, The Center for Art in Wood, and to fund the ECHO program. 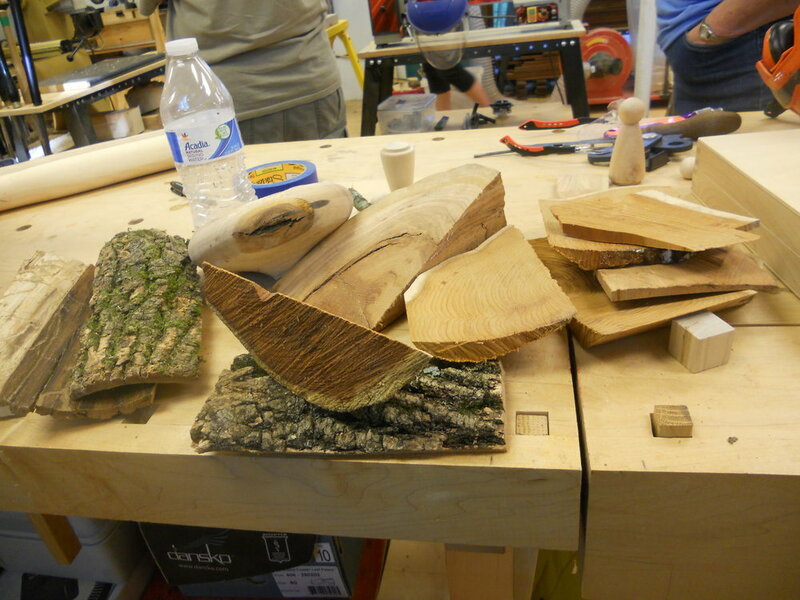 WIT is a committee of the American Association of Woodturners (AAW). 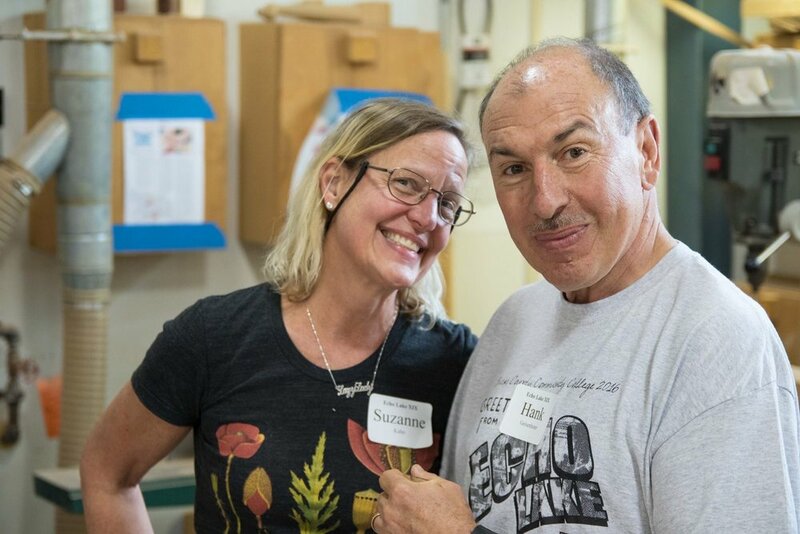 WIT is dedicated to encouraging and assisting women in their pursuit of turning, to sharing ideas and processes to further members’ skills and creativity, and to increasing participation of women in the field of woodturning.